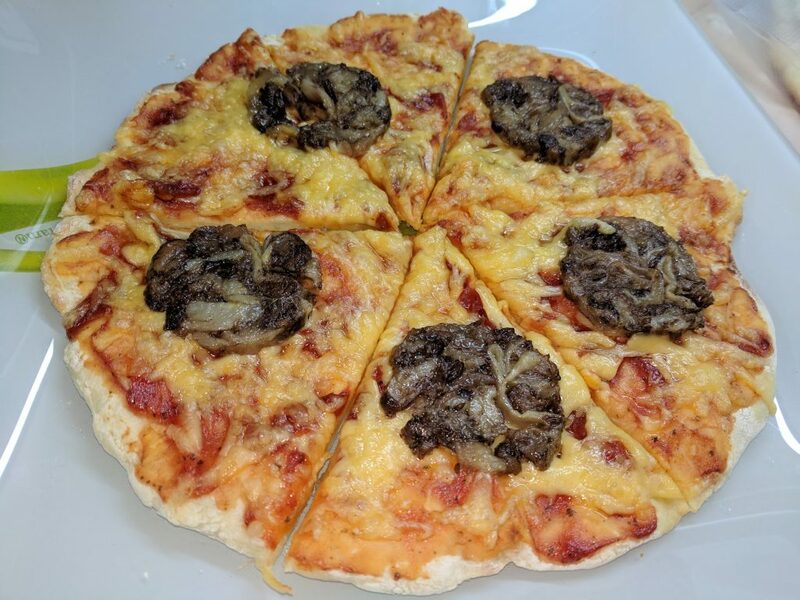 This fluffy and instant super soft pizza dough recipe without yeast and no eggs was discovered by me today absolutely by accident when I found out I had no eggs in my fridge to make a standard yogurt pizza dough I used to make. Then I thought, hey what if I experiment and try making this yogurt pizza crust without eggs. As a result, I got a very soft, deliciously smelling fluffy crust which made my pizza taste even better. Let me tell you, no crumbs were left out. Everybody loved it! Now, I am rushing to share the recipe with you too! This easy pizza dough without yeast requires yogurt or sour milk, organic all-purpose flour, salt, little amount of melted butter, baking soda and an apple cider vinegar. That’s it. When you make the dough it’s better to bake the pizza crust immediately. Don’t keep the dough. It may keep, but I have not tried keeping it for longer than 30 minutes. I made it and baked it immediately. You start feeling an amazing smell after about 4 minutes of baking. One more note about the oven temperature. Bake your pizza crust in a very hot preheated oven. I baked it for about 6 minutes, not more. After that, I sprinkled the tomato sauce, cheese, and toppings. After I am done with toppings, I place the pizza into the oven again until the cheese melts (for about 3-4 minutes in my oven). Sliced vegetables slightly sauteed in ghee and slightly salted (optional). You can use sliced tomatoes, sweet pepper, pineapple, anything you like on your pizza. Preheat the oven to 415 F (220 C). Mix baking soda and vinegar. This mixture gets bubbly. Add this bubbly mixture to the yogurt and mix immediately. Add the flour enough to make a soft dough. The dough needs to be really soft and may stick to fingers slightly. If it sticks, just flour your hands to make it easier to handle and shape the dough. 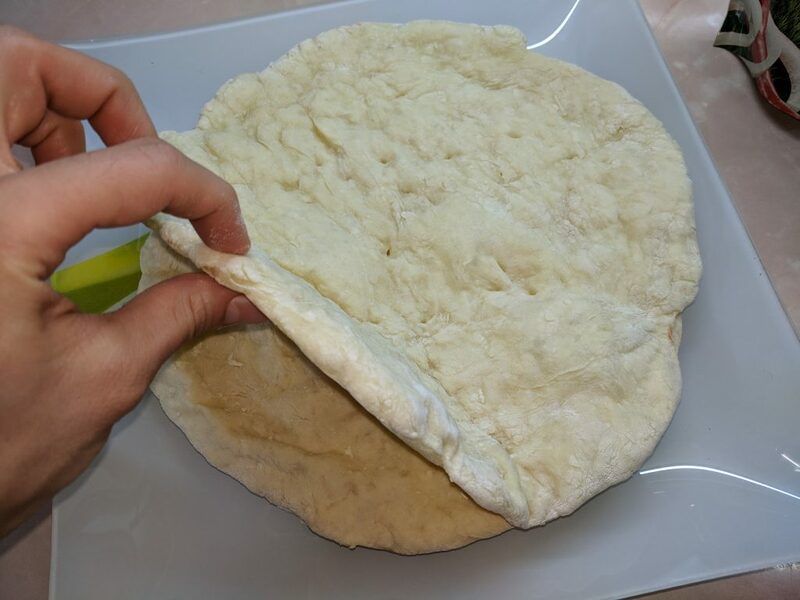 Shape a pizza crust on a parchment paper using your hands. Place the shaped pizza crust in a hot preheated oven for about 6 minutes, or until the bottom of the pizza crust changes color. The crust should raise in volume and smell good during this time. If it’s not, then bake for a couple of minutes more. Take the crust out of the oven and spread your favorite tomato sauce on the crust. Then sprinkle shredded cheese, then sprinkle your favorite toppings. 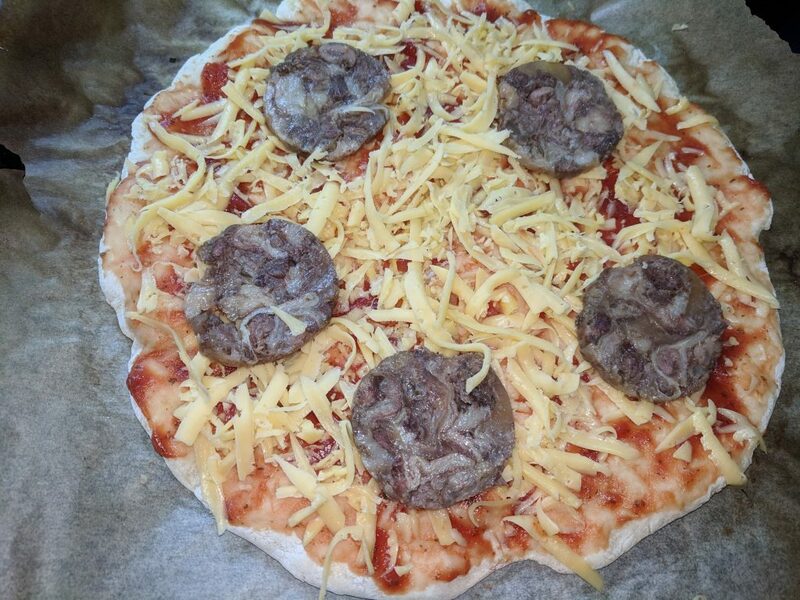 Place the pizza into the oven until the cheese melts for about 2-4 minutes. *Bake the dough as soon as possible.